Come on. You all knew it was only a matter of time until Joel Osteen released his own Bible. This is the heart of the message that Joel and Victoria Osteen share every week with an audience of millions around the world via television, the internet, and worship events. Their practical, uplifting message of hope found in Christ has changed the lives of individuals, impacted families, and literally transformed communities. They place an incredible value on the principles of the Bible, which have a miraculous, life-changing impact on anyone who is willing to study and obey its truths. 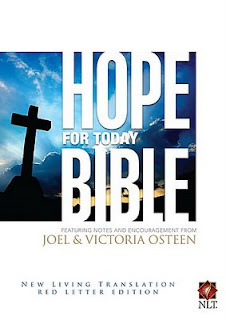 The Hope for Today Bible is filled with insights, notes, and encouragements from Joel and Victoria designed to help you grow deeper in your walk with God. It also includes specific verses that you can pray over your relationships, your children, your finances, and your health. In addition, "HopePoints" are key words and supporting scriptures related to topics such as favor, forgiveness, anger, depression, loneliness, self-control, and many more. This Bible is presented in the New Living Translation, which combines phenomenal scholarship and textual accuracy with clear, easy-to-understand contemporary language. The Bible will come alive and become clear like never before. you don't have to tell me twice. 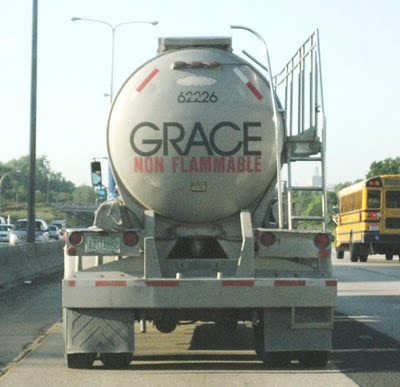 i don't want anything with joel osteen's name on it, in my library.